Larry Hodges is a science fiction & fantasy writer, as well as a table tennis coach and writer. (Yes, that’s a strange combination.) This is his SF & Fantasy page; here’s his table tennis page. He’s had ten books published, including four SF & Fantasy novels/anthologies, including the SF novel "Campaign 2100: Game of Scorpions" (Jan, 2016, from World Weaver Press). He’s an active member of Science Fiction Writers of American with over 70 short story sales. His story “The Awakening” was the unanimous grand prize winner at the 2010 Garden State Horror Writers Short Story Competition. His story “Rationalized” won the November 2011 Story Quest Competition. He’s a graduate of the six-week 2006 Odyssey Writers Workshop, the 2007 Orson Scott Card Literary Boot Camp, and the two-week 2008 Taos Toolbox Writers Workshop. In the world of non-fiction, He’s a full-time writer with ten books and over 1600 published articles in over 140 different publications. He has a bachelor’s in math and a master’s in journalism, both from University of Maryland. In the world of table tennis he’s a member of the USA Table Tennis Hall of Fame (as a coach and writer) and is certified as a National Coach, the highest level. Wow! Not only did I get a story in the current issue of Analog, but they also interviewed me! I got to talk about how the story came about, my writing process, and pretty much everything else about my science fiction writing. I’ve been watching all the news on TV with growing disgust. I might have to write a sequel to “Captain Exasperation Woman Meets President Trump“! Analog: “The Plaything on the Tesseract Wall.” What happens when a 4-D child bullies a 3-D child? Galaxy’s Edge: “Death, the Devil, and the President’s Ghost.” The president has died, and he’s on the elevator with Death and the Devil. Which way will they go? Alternative Theologies: “An American Christian at the Pearly Gates.” What happens when a hypocritical Christian meets St. Peter? Not what you’d think!!! “Releasing Hitler” to Galaxy’s Edge. What happens if Hitler is paroled from Hell one million years from now? “Ded Society” (9900 words) to Tales From the Old Black Ambulance. What happens if Charles Darwin died at age 12 (he almost did), and lived in a graveyard with the other “Ded,” who have no memory of their past – and he decided to learn about their origins? Three stories to DrabbleDark 2: “Nobody Would Believe You,” It’s Too Damn Hot and Cold,” and “The Stork, the Baby, and the Witch.” These are 100-word drabbles. “The Bullied Werewolf Boy.” An nerdy adolescent werewolf is constantly bullied, but settles all business with those bullies once a year on Halloween – but faces a big problem this time out. “Just One of the Gods.” Every galaxy has a God, so there are about 100 billion of them in our universe, all of them working out of cubicles in a huge office. But one intelligent lifeform has grown too technologically advanced and challenges the Gods. “The Fat Old Tortoise and the Hard-Working Hare.” What really happened during that tortoise and hare race! “Science Fiction of Resistance” – Using politics in your writing. This has been an exciting time for me as I gradually work my way up the science fiction writing ladder. This month I have three stories out in three major publications – including my first story in Analog! (Here’s the Table of Contents for the Sept/Oct 2018 issue, now out in newsstands – I’m the “Probability Zero” story, “The Plaything on the Tesseract Wall.” The story is about a 4-D being, a little girl, who plays with a 3-D being (a little boy), and in inadvertently becomes a bully – with a surprise result. I also have stories in both the current and upcoming issues of Galaxy’s Edge. In the current (July/August) issue I have Satan’s Soul; in the upcoming (Sept/Oct) issue I have “Death, the Devil, and the President’s Ghost.” In the first, Satan is depressed as it’s the night before Armageddon and he knows he’s going to lose – but then a higher-dimensional being shows up, and after some negotiating, Satan sells his soul to it in return for winning the next day! In the second, the president has just died and his ghost is taking the elevator down, accompanied by Satan and Death – with a surprising turn. 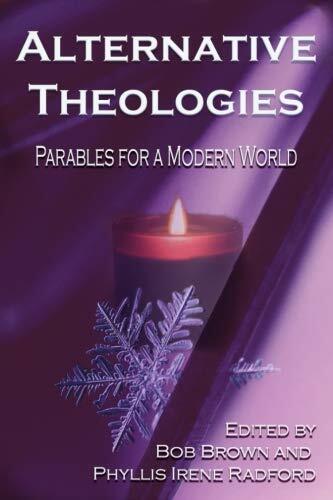 Perhaps my favorite recent story just came out in “Alternate Theologies: Parables for a Modern World,” which is an anthology of stories that satirize bad religion. In my story, “An American Christian at the Pearly Gates,” a hypocritical Christian meets a surprising Saint Peter, who does a surprising thing! And now I’m deep into research for my new novel, now tentatively called “Election 2050: The Return of George Washington.” I’ve read several bios of Washington and lots of other stuff on his personality and psychology since he’s going to be the main character. I’ve got several great characters planned out to go along with him. I’d initially written 7000 words of the novel, but after a compete rethinking of it, I plan to start from scratch, once I’m done with the research and planning stage. (Originally I had the first ten U.S. presidents in the novel.) Assuming it eventually sells, it would be my fifth novel. I’ve had four nice sales recently. Feb. 23 was a banner day as I made my first sale to Analog, as well as my 13th to Galaxy’s Edge! I recently bought the rights to www.larryhodges.com, so my science fiction & fantasy web page is either that or www.larryhodges.org – they are identical. 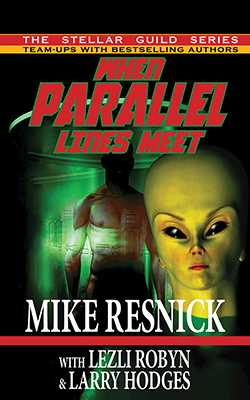 My fourth science fiction novel comes out on Halloween, Oct. 31 – “When Parallel Lines Meet,” which I co-wrote with Mike Resnick (ever heard of him? Five Hugo awards and 37 nominations) and Lezli Robyn. You can advance order now in all three formats – print, kindle, and audiobook. When Keelarah, Lead Interrogator in the Neuropsych subdivision of the Cartheeli Military Caste, first meets the alien, she is prepared to do her duty. He is a trespasser on her planet, has caused the death of someone dear to her, and it is imperative she find out where he’s come from and whether his kind poses a threat to her and her people. Often ruthless in her techniques, the interrogator uses her telepathic and empathic abilities to assault his mind, to draw out any whisper of information that can give them a better idea of what – who – they are dealing with. But she isn’t prepared for the prisoner to defend himself with comparable talents, to disarm her with equally astute observations. Chief Surveyor Forrest Brown might not be the best example of humanity, but he doesn’t have to be to show Keelarah what it is to be humane. As they get to know each other, the line between captor and prisoner blur, which begs the question: is having different origins a more important factor, or the ability to find common ground? What if mutual alienation leads to the most profound bond of all? I also have two short stories coming out. On Oct. 27, my dark fantasy Running with the Dead was published by Astounding Outpost. It’s the story of a dead high school kid – yeah, a zombie – who just wants to go to school and try out for the track team as a miler, and the rejection he faces from everyone, especially the “Mile Mafia,” the high school kids who rule the track team. (It’s basically a civil rights allegory.) Strangely they put my name at the end of the story instead of the start, as is the norm. I have another short story coming out on Nov. 1 at Galaxy’s Edge, “The Nature of Swords” (in addition to my current story there, “Theater of Death,” which comes down on Nov. 1). “The Nature of Swords” imagines a distant future where all that’s left of mankind are the magical swords he created, which spend their days playfully fencing (they can fly) and reminiscing about the days of man. One of them decides to travel the world in search of man – with tragic results that say more about the nature of man than sword. Can Captain Exasperation Woman Save the Planet from Complete Exasperation? Captain Exasperation Woman, the world’s greatest superhero, has the power to exasperate anyone and anything into utter perplexity by simply telling the truth. Fences, helicopters, secret service agents, and many others will face her wrath. When she goes up against the mighty T-Rump known as President Trump, she will confront him with his countless lies, scams, business and moral failings, and the utter ineptitude of his presidency. But she will find her powers are useless against one who is not fettered by truth or conscience. She must bring out her full bag of tricks, from the Spirits of Presidents Past, Present, and Future, to the Devil himself, and even the Exasperation of the Galaxy itself. This year’s session was July 21-29. Wanting to avoid rush hour, I drove up from Maryland the night before (Thursday), leaving at 9PM and arriving in Manchester about 5AM. (I drove non-stop except for a 20-min break in the middle.) Once there, I planned to sleep in my car in the parking lot until they opened, but couldn’t sleep, and so read until 11AM, when I was able to get into my room at Saint Anselm College. Before going to TNEO I (like others) we each submitted for critique three stories or chapters. (You could do either short stories or novel chapters, up to 15,000 words in three segments. There is also an Extended Novel Group which submits and critiques more material.) I did 13 critiques of fellow student’s stories or novel chapters. They ranged from about 1000 to 2000 words (2-4 pages single spaced), and covered all aspects of fiction writing. I tend to do my critiques systematically, using the following sixteen categories: Immediate Reaction, Title, Writing, Beginning, Main Characters, Dialogue, Point of View, Setting, Exposition and Pacing, Theme, Genre and Originality, Plot, Ending, Page Notes, Strongest Aspect of the Story, and Weakest Aspect of the Story and How It Can Improve. For the critique sessions, we’d go around the circle, with each person generally having up to ten minutes to give their critique, and then the one being critiqued had 18 minutes to discuss the story, respond to the critiques, and ask questions. “What’s So Funny ‘Bout Peace, Love & Writing Humor?” by Barbara Barnett-Stewart. “Mad Molly and the Nuclear Bomb.” This was a humorous hard SF story featuring Mad Molly, an 80-year-old black autistic retired math professor who solves problems with math – but often for her own reasons. In this story terrorists had sent a nuclear bomb through a tunnel from Paris to DC, while Molly was trying to send an ice cream cake to her sister in Paris, as she did every Tuesday at 5PM – and while her main motivation was get that ice cream cake sent out on time, she has to solve the little problem of the nuclear bomb as well. “Confederate Cavalry on a Plane.” This was a humorous romp through parallel universes, featuring a professor and a student on a plane, where the professor believes in the multiverse theory that there is a universe for every possibility. This leads to a bet where the student has to come up some unlikely situation to see if it might occur, and so he bets that Confederate Cavalry will not appear on the plane – which leads, of course, to three very confused Confederates on horses charging down the aisle, including a valid scientific explanation. Also featured is a 12-year-old brat who steals them blind and causes havoc, a really fat chicken, the three Confederate Cavalry and their horses (including Hammer, who solved the Grand Unified Theory of Physics, and sort of steals the show), and a host of other oddball characters, from J.E.B. Stuart to the self-aware alien stasis field Quastika. “As a Matter of Fact the Universe Does Revolve Around Me.” This was about a teenage girl who discovers she literally is the center of the universe – and a whole lot more! It’s a fantasy disguised as science fiction as the universe rotates around her every ten minutes, which scientists can’t explain, and which leads to problems in school as she has to hold herself down or she starts to rotate around in the air (or rather, she holds still while the universe rotates around her). It’s also sort of a madcap adventure as she leaves our universe for the multiverse and beyond, as well as a superhero story. My main volunteer activity was as a pack mule, helping move heavy boxes and other items around. Alas, I hurt my knee doing this on the first day, and limped the rest of TNEO, wearing a knee brace, which ended my pack mule activities. The ride back was mostly uneventful except for a few times where my GPS on my phone went crazy. A couple of times it froze up, and so I’d miss exits, which led to an ill-fated 30-minute excursion into New York City. A few times the GPS would say something like, “In a quarter mile…” and then it would cut off for 30 seconds or so. Then, after I’d missed the turn, it would finish the sentence. Worse, for an hour in the middle of the trip it was consistently off by about 20-30 seconds. Sometimes I’d make a turn, and then listen to the GPS spend the next 20 seconds telling me to make the turn I’d already made. Then came the weirdest GPS thing. I stopped at a rest break while on the New Jersey Turnpike. Nobody had physical access to my phone, which was strapped to my belt. But when I got back on the Turnpike, it told me to take the first exit off, which I knew was wrong – I had another hundred or so miles to go before exiting. So I pulled over and checked the phone – and somehow it was trying to get me to some local address! I have no idea how that happened. So I had to reprogram it to take me home. The drive back took about ten hours. I’m already looking forward to next year, with three more stories. I’m already planning new ones – half the reason for going to TNEO and other workshops might be the inspiration! So if you are an Odyssey grad, perhaps you should join us next year? And if you are not an Odyssey grad, then why not consider taking a six-week “vacation” next year that will change your life AND dramatically improve your writing and chances of getting published? Campaign 2100: Game of Scorpions is on sale! But only for a few days. From my publisher (World Weaver Press), “From January 17 to January 24, 2017, we’re running a Kindle Countdown deal for the ebook version of CAMPAIGN 2100: GAME OF SCORPIONS: get it for 99¢ until January 20th, or $2.99 until January 24th. 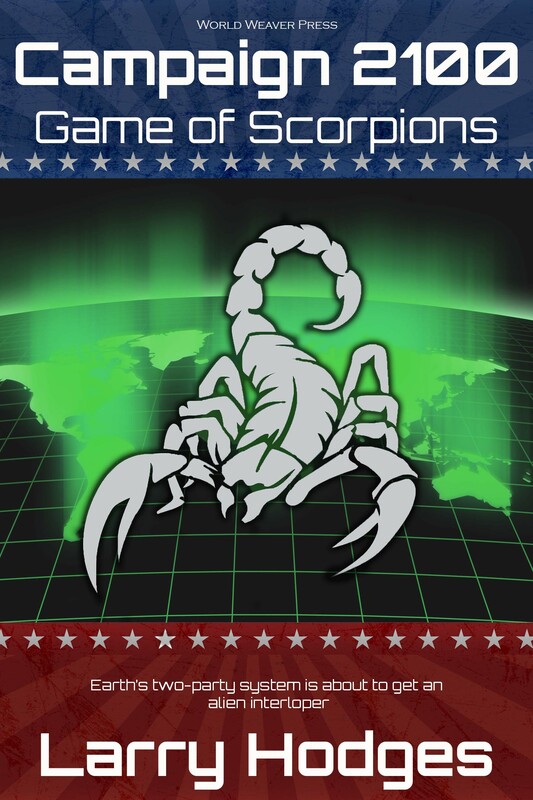 Campaign 2100: Game of Scorpions Reviewed in Mensa! 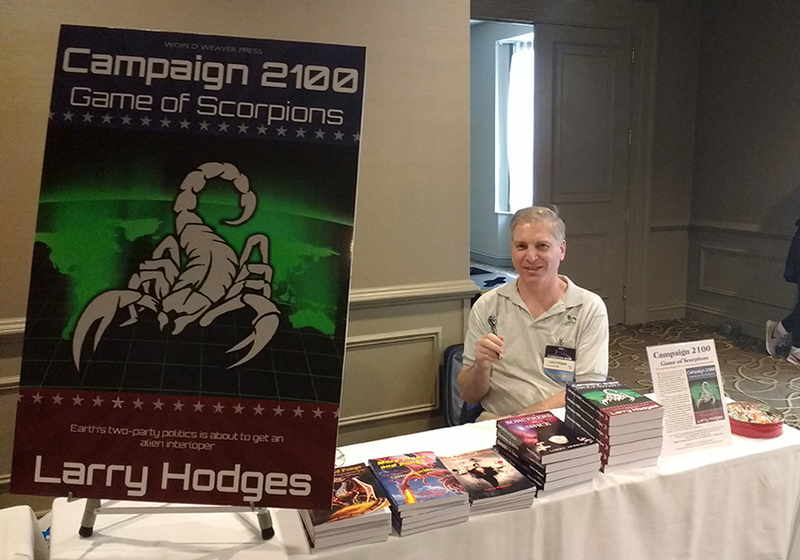 If you’re not burned out on politics, another interesting novel is Campaign 2100: Game of Scorpions by Larry Hodges. It’s a good read. The book is about the campaign for president of the United States of Earth in the year 2100. It starts out as you might expect, a well-written novel about the twists and turns in a political contest as an erstwhile campaign manager, Toby Platt, decides to make a third-party challenge to the Liberal and Conservative parties. It takes a turn into something completely different with the arrival of a space ship piloted by a single female astronaut named Twenty-two, who claims to be an ambassador from the Galactic Union. Toby’s main opponent is his previous employer, the sitting president, Corbin DuBois, who is running for re-election. DuBois’s campaign is now being run by Toby’s daughter, Lara, who knows all Toby’s tricks and then some. Toby’s best friend and now campaign manager is Bruce Sims, a ping-pong champion, which is a nice segue into the fact that the author, Larry Hodges, has written a number of other books, most of them about table tennis technique. We sure have a lot of interesting people in Mensa. It’s also been reviewed ten times at Amazon.com – seven 5-star and three 4-star. It has a perfect 5.0 rating on Goodreads (three ratings). And while I’m at it, here are two blurbs! Wow. That’s the best way I can describe my experiences at the “Sail to Success” science fiction writing workshop cruise in the Bahamas, Dec. 5-9, 2016, on the Norwegian Sky. I’ve never been on a cruise before, so my comments on that are from a newbie. However, I’ve been to numerous writing workshops, and this reached the rarified airs of the best of them. 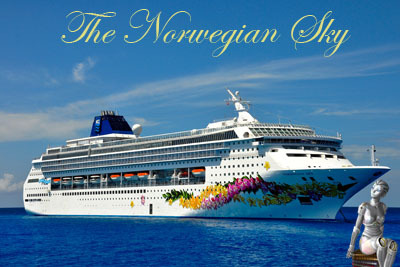 The cruise was put together by Arc Manor, an award-winning publisher. Dan Dandridge, a best-selling self-publisher, also ran two sessions, though he was officially one of the students. Setting up everything and making sure all ran smoothly were Arc Manor’s Shahid Mahmood and Lezli Robyn. Here were the actual sessions, each roughly one hour, except for the two 3-hour critique sessions. They started each day at 2PM, and typically went to about 10PM. My daily schedule was simple. Get up around 7AM, eat breakfast, visit hot tub, write for one hour, and then excursions to the local Bahamas. I bought about $50 in souvenirs at Freeport, and then restrained myself the rest of the way. At Great Stirrup Cay I spent an hour out in the ocean, with fish swimming about my feet, and then pigged out on the buffet the Norwegian Sky cooks had set up next to the beach. Like all meals on board (with a few exceptions for luxury items), it was included in the cost of the cruise, and so (at that point) free. The food was great, with lots of variety. I mostly had French toast for breakfast, large salads for lunch, and various dishes for dinner. The classes started at 2PM, and generally went to about 10PM, with a two-hour break for dinner. 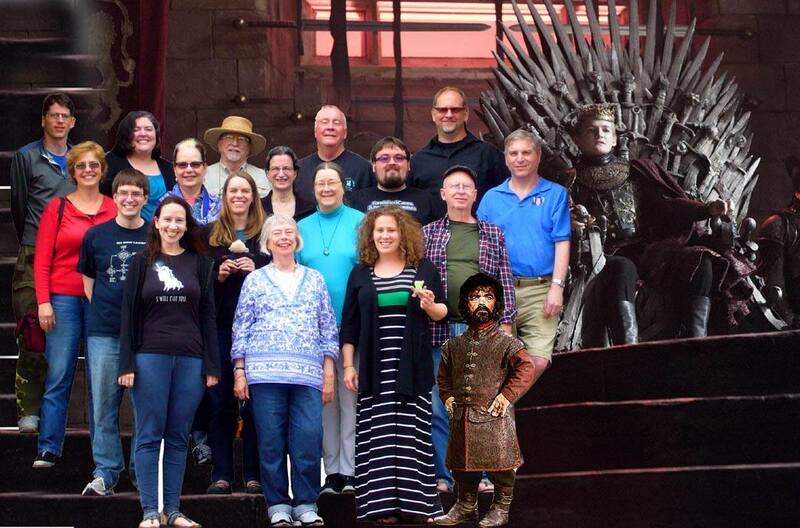 Then it was off for the Deck 11 gabfests! (More on that below.) There was a TV in my room, but I never turned it on. I did, however, spend some time in the small balcony off my room that overlooked the ocean, where I’d read or go over my work or that of other students. The two critique sessions were great as Jim Minz and Nancy Kress are incredible at critiquing – analyzing the story, finding its strengths and weaknesses, and finding solutions to problems found. Plus lots of line editing. We went around the table, with the others in the class giving their input on each story while the author took notes. I’ve already done my rewrites based on their critiques, and will be submitting soon. Throughout the sessions, and often in informal ones outside, numerous pearls of wisdom were dropped on us, like manna in the Bahamas. But the workshop was much, much more. Private Meetings. One of the features of the workshop was two 30-minute one-on-one sessions with two of the instructors. I got to meet with Super Agent Eleanor Wood and multi-Nebula winner and writing guru Nancy Kress. I went into each meeting with specific questions and some trepidation, and came out smiling, with answers not only to my questions, but to questions I didn’t even know to ask. Their knowledge and professionalism went far beyond expectations. Suffice to say that much of my future, both near- and long-term, are now mapped out, and I now know the exact date of my first Hugo. Writing Habits. During the “The Professional Approach to Writing” session, Nancy Kress and Eric Flint described their writing habits. Nancy is one of those who writes to find out what she’s going to write about, i.e. doesn’t plan much – just figures it out as she writes, then does extensive rewrites. Eric is more of a planner, and often has trouble getting started. I listened to him describe his various routines to get started, and how he goes about planning his novels, with the mesmerizing realization that it was almost identical to mine. We also explored writing in a number of exercises in the “Sharpening Your Prose: An Exercise” with Jack Skillingstead. Mike’s Books. He’s published 86 books in the SF field (novels, short story collections, and how-to books), of which I’ve read 15. I’ve made it my mission to read the other 71 over the next two years, while still reading other novels – alternating between Mike’s and others, such as Probability Moon by Nancy Kress, the first book of a trilogy I’m currently reading. But since Mike keeps putting novels out, it’s going to be hard to catch up. Next up by Mike is Ivory: A Legend of Past and Future, a Nebula nominee, which covers 6000 years of history (past and future) of the tusk of an elephant. Ping-Pong Tournament. On Tuesday they held a cruise ping-pong tournament. Since in the outside world I’m a top player and coach in this Olympic sport, I won rather easily. Not to brag, but in four matches, games to 11, nobody scored more than 2 points – and twice I gave away points at 10-0. Ship Features. The ship had three swimming pools, four hot tubs, basketball and volleyball courts, golf driving nets, two ping-pong tables, jogging track, fitness center and spa, about a dozen restaurants, numerous gift shops, a gambling casino, theater (with comedy, magic, and other shows), the Mark Twain Library (lots of books, not just Twain’s), a daily ship-related crossword (which I did over breakfast each morning), an art show and gallery, and lots more. The View. Yes, it was incredible. Imagine a 12-floor building. Now imagine it’s nearly the length of three football fields, and 123 feet wide. Now imagine it’s surrounding by bluish water as far as the eye can see, with waves crashing into the ship. Throw in a few dozen seagulls, a sky full of stars you never see within one hundred miles of a city, and you have the view that would kill. I, and I’m sure everyone else involved, would like to thank the entire staff for the great job they did, and Arc Manor’s Shahid and Lezli for the great job they did in setting this up, as well as for all the free “goodies” they gave out – Galaxy’s Edge carry bags, copies of Galaxy’s Edge, a copy of Locus, fancy magnetic metal nametags, and of course the small rubber ducky that only Sail to Success grads will ever truly understand. “Manbat and Robin” at Galaxy’s Edge. This is the story of a bat that thinks it’s a superhero. It was inspired by an actual bat that flew in my window during a writing workshop! “A Snowball’s Chance” at New Myths. This is the story of a time-looping good witch who is out to stop a bad witch – armed with nothing but a snowball and a mind-boggling secret.